Summit Building Supply is conveniently located at 252 Possumtrot Road, Burnsville, NC 28714. Take exit 9, turn on Highway 19E, go approx 10.5 miles, turn right onto Possum Trot Road (which is opposite Hwy 19W), go to first drive on the right. When using a GPS or Google Maps, or other GPS based turn by turn mapping assistant for directions, make sure to enter Possumtrot as one word in order to obtain accurate directions. If you enter “Possum Trot” as two words, you will be given directs to the wrong end of Possumtrot Road and will be routed over a steep back road. Summit Building Supply is proud to serve customers in western North Carolina and eastern Tennessee. 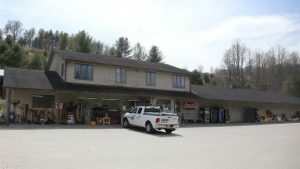 We are a locally owned and family operated building supply company located in Burnsville, NC since 1984. Copyright © 2019 Summit Building Supply.